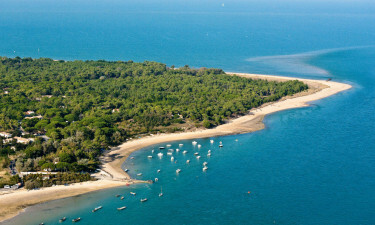 Set on the enchanting French island of Ile de Re, Le Phare offers a picturesque paradise for luxury camping lovers to enjoy. LuxCamp is your perfect partner for organising fun in the sun for the whole family. The whole of Ile de Re can be explored on foot and visitors are sure to love walking along the whole length of the coast and visiting tiny traditional villages. 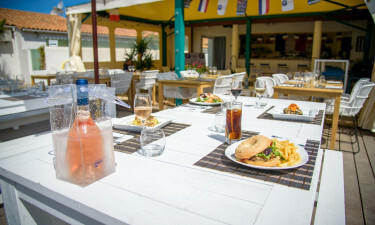 Taking a boat trip to the mainland is an experience that should not be missed during this camping holiday and it will provide guests at Le Phare with the opportunity to view the island in a whole new way. 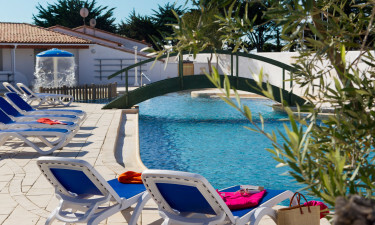 Why Choose Camping Le Phare? People who stay in a mobile home at Le Phare will be able to reach the gorgeous sandy beach in a mere matter of moments. Many of the activities that are organised by the site’s staff also take place on the sand. The outdoor swimming pool complex comes complete with a mushroom-shaped shower for the little ones to splash around in as well as a romantic stone bridge. Both pool and ocean views can be enjoyed from the sun loungers that edge the main pool.